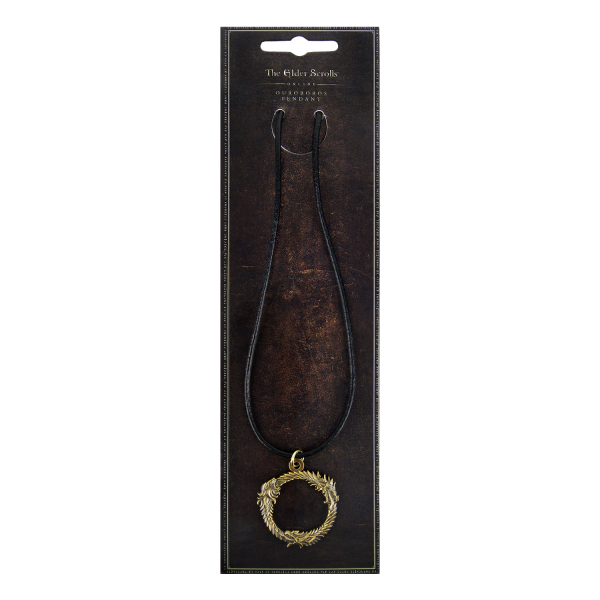 The leather strap necklace from "The Elder Scrolls Online" shows the Ouroboros, an ancient symbol, which depicts three creatures (dragon, eagle and lion) eating their own tails. Made of solid metal, approx. 4cm in diameter. Manufactured by Gaya Entertainment.